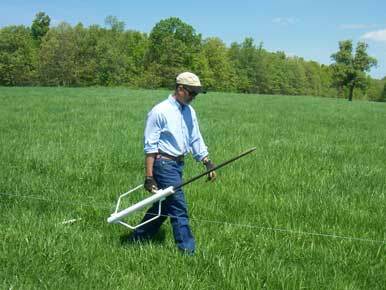 The PasturePro pilot driver is a real asset when driving line posts in dry or rocky ground. It is also handy for making sure fence lines are straight for all soil conditions. Easier Installation in Hard Ground. Installing any kind of post in hard or rocky soils is difficult, but the PasturePro pilot driver makes it as easy as possible. The 7/8" hardened steel rod is pointed and can be used for all PasturePro post diameters. The hardened spike is encased within the driver housing and easily reverse-hammers out of the ground after the pilot hole has been made.